THE INSTITUTE OF THE BLESSED VIRGIN MARY(LORETO)was founded by Mary Ward(1585-1645), a dynamic English Catholic lady, during the most turbulent times in England when Catholics were being persecuted, and Europe was being troubled by religious intolerance and the rights of women were unheard of. It was under these circumstances that Mary Ward, who had been called to a religious life when she was all of 15 years, took it upon herself to envision a very active order, working in society for the education and upliftmen of women. The task set by our founders continues to be carried out by her spiritual daughters and Mary Ward herself remains as an ever inspiring figure to young women worldwide. On 19th December 2009, Pope Benedict XVI declared Mary Ward as Venerable and recognition was given to her as a woman of heroic virtue. Procedure: Application form will be available online for class Nursery from Aug 6, 2018 to Aug 26, 2018 for the academic year 2019-20. The cost of the application form is Rs. 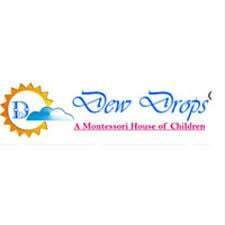 200/- Kindly submit a hard copy of the apptication form along with copies of the attachments in the drop box at Loreto House,7, Middleton Row, Kolkata -700071. Last date for submission of hard copy is Aug 31, 2018. Application form will be available online for class Nursery from Aug 6, 2018 to Aug 26, 2018 for the academic year 2019-20. NURSERY ADMISSION LIST 2018-2019 Please find the list of Selected Candidates for Nursery 2018-19. Those candidates whose names do not feature on the list please do not contact the School. Orientation for the parents of selected candidates is on 5th December 2017 at 2:30 pm. Only parents are required to attend the orientation. Children need not attend the orientation. School will start issuing the application forms from Sep 5th, 2016 for the academic year 2017-18. Submit filled application forms with attachment of necessary documents.